Lockridge parishioners Monique Loos and Vanessa Tarca have returned from World Youth Day (WYD) in Krakow with a new zest for life. 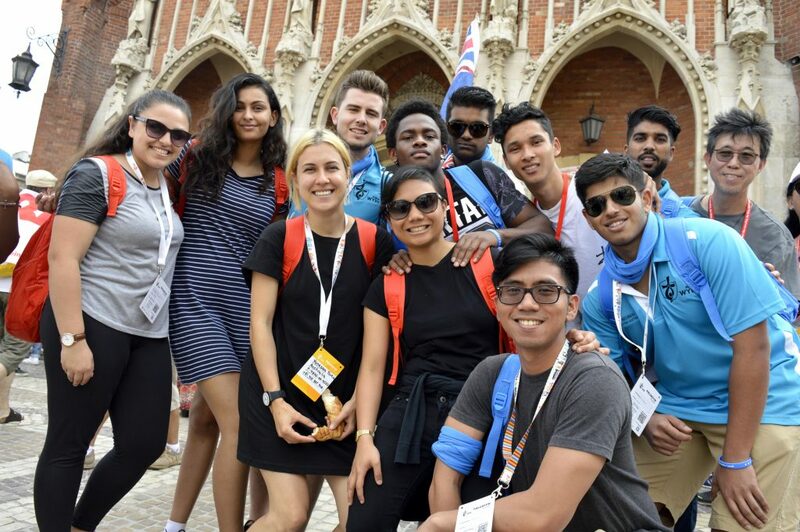 The pair were part of a 13-person group from Good Shepherd Lockridge Parish who made the trek to Poland for WYD, teaming up with two other parishes from Bunbury and Singapore. Two years of fundraising paid off as the group spent a fortnight visiting Warsaw, Krakow and many religious sites in between, praying with Pope Francis at the official 26 – 31 July event and sharing their faith with other young Catholics from all over the world. Miss Loos said it was the sheer scale of WYD that made the biggest impact on her. “It was honestly one of the most amazing things I’ve ever seen. When you’re at the opening and closing ceremonies especially, there’s millions and millions of people and so many flags,” she said. 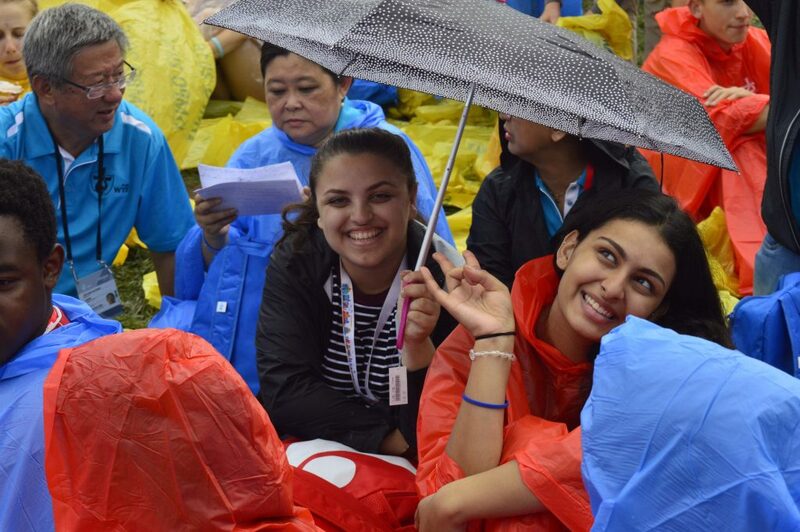 The 18-year-old said she wanted to attend WYD for the first time this year because she thought it would be a great opportunity to increase her faith and meet like-minded people, and she wasn’t disappointed. “The spiritual part of it was really great. We’d go to catechist talks and the cardinals and bishops and priests that spoke were really inspirational,” Miss Loos said. Miss Tarca, 25, was also impressed by the interactions she had with the clergy at WYD, praising their ability to answer questions openly and honestly, and to put Jesus at the heart of the Church. She said this was the highlight of her trip, which she described as “a life changing experience”. “It was an emotional, spiritual, joyous journey. It helped me strengthen my faith, it brought me an understanding of previous misconceptions, it drew many beautiful like-minded people into my life, it graced me with the Pope and it helped me to realise that with the act of divine mercy, I can do more,” she said. Miss Tarca, who works as a teacher at Good Shepherd Catholic Primary School, explained that she began enquiring into WYD in Krakow after being away from the Church for some time. She was looking to strengthen her faith and was ecstatic when she discovered that her own parish was sending a group to the event. “This was an absolute blessing because not only did this bring me to WYD, but it also brought me back to the Church,” she said. Both women are planning to attend WYD in Panama in 2019, the first to be held in Central America.